84 year-old Barbara is going door-to-door asking people to register to vote for Kentucky Congressional Candidate Amy McGrath. Yesterday, she was given 14 houses to visit. She completed 8 before her legs gave out on her. She asked to come back the following day to "finish what she started." She came back the next day and completed her 14 houses. 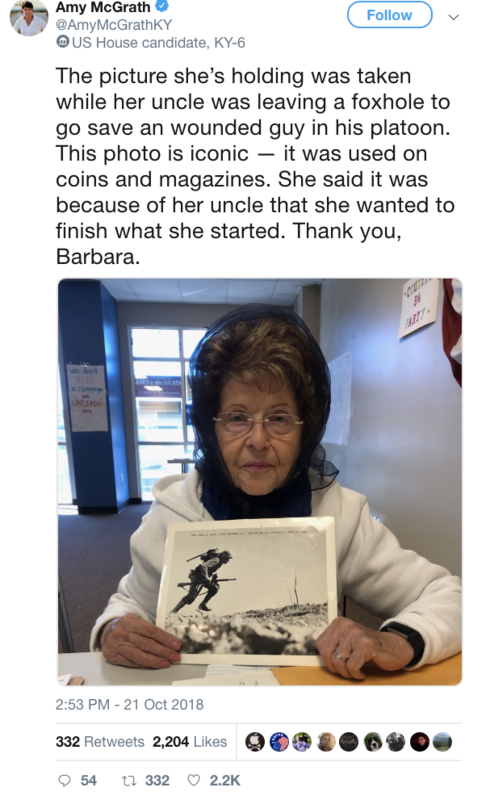 Barbara said she wanted to register voters in honor of her WWII veteran uncle, who inspired her to always "finish what she started." 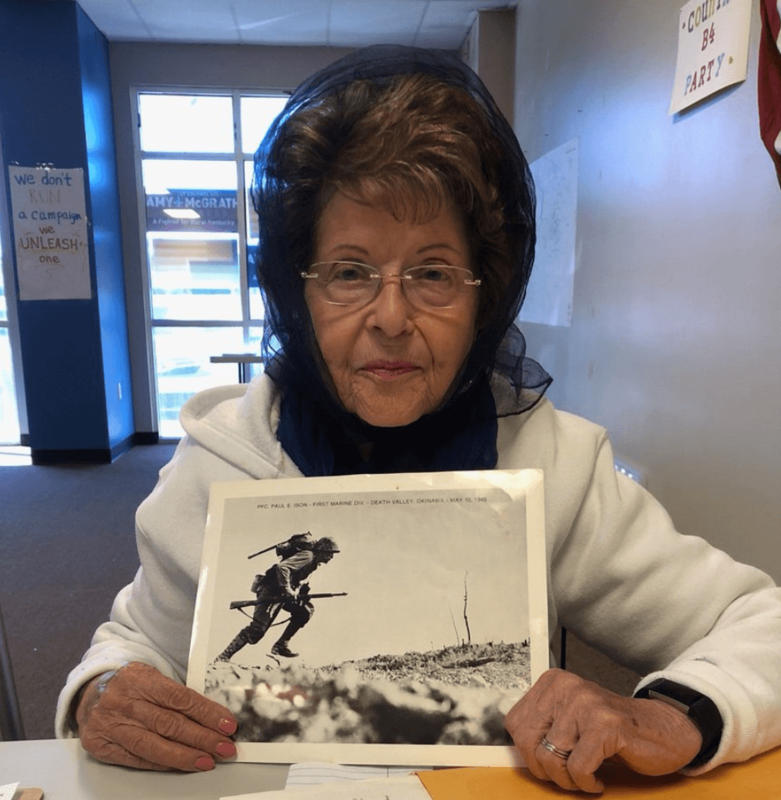 Barbara is just one part of the wave of voter registration surges across the United States. Her persistence and determination are an intrinsic part of the American culture.